Monday, Leslie Hittmeier heads to Chile for ten days to write and photograph a story on a ski guide and avalanche training advocate. 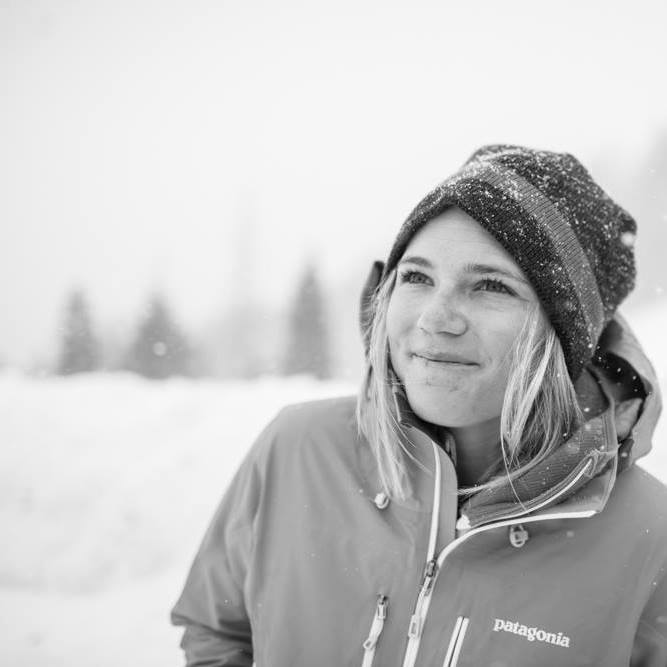 23 years old, one year out of the University of Montana School of Journalism and working as Associate Digital Editor at Skiing Magazine, it’s safe to say Hittmeier’s living her dream. Jeremy Lurgio, Associate Professor of photojournalism, isn’t surprised Hittmeier has gotten to where she wanted to be so quickly. “She had a vision of what she wanted to do when she came to the J school,” Lurgio says. He adds she was willing to work hard and sacrifice to get there. To get to her current job, Hittmeier credits a few good breaks, determination and the storytelling skills she learned in school. After finishing classes in the spring of 2014, she looked for internships and got one at Climbing Magazine. They kept her mostly in the studio, photographing “oatmeal and other lame stuff,” as Hittmeier puts it, but she was still writing and shooting and meeting great climbers and athletes. After a brief move back to Missoula, she saw an opening at Skiing Magazine. She applied and got the job. Her internship at Climbing Magazine helped her application, as both publications are owned by the same parent company, Active Interest Media. Hittmeier knew from the beginning she wanted to photograph and write about skiing and climbing. Her advice to incoming students reflects that path; “figure out what your goal is, and then intern.” She emphasized developing multiple skill sets to stick out from the crowd. “If you’re a photographer, become a writer too,” she says, adding students also need to be active and able on social media. Lurgio cites the back to back internships Hittmeier did as evidence of what it takes to get ahead in journalism; hard work, good connections, and an early willingness to forego higher wages in exchange for increased opportunities. At the Journalism school, she credits photo classes with Lurgio for teaching her to broaden photography into story telling. “I remember Lurgio was always kind of like ‘Leslie there’s no story here you just take pictures of climbing,” she recalled. Hittmeier also said she still keeps her notes from Jule Banville’s feature class. Lurgio also remembers pushing Hittmeier to improve on her already talented photography skills when she was a junior in the photojournalism program. “The trick was getting her to think beyond how to make a pretty picture,” he said. Hittmeier almost didn’t take the job at Skiing Magazine because she was terrified of being stuck at a desk, but she’s glad she did. “It’s crazy how worth it it is,” she says.